Earl Grey Dental Practice, formerly known as Genix Healthcare Edinburgh, is now proud to be under the ownership of Clyde Munro Dental Group. 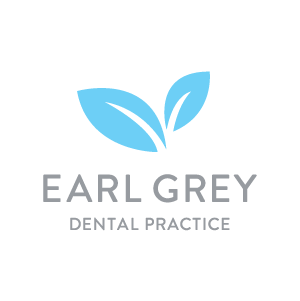 At Earl Grey Dental Practice, our aim is to provide you with a high-quality level of dental care in a welcoming environment. We will strive to make your experience of visiting us both enjoyable and stress free. Our team of friendly and helpful reception staff will be pleased to help you with any query and ensure you are satisfied with your service. Our practice was established in 2008 and is situated on Earl Grey Street, in the middle of the town centre and a short walk from Haymarket Station. We are conveniently located on street level and are fully accessible to wheelchair users or those with mobility disabilities. At Earl Grey Dental Practice we are delighted to offer NHS and private dental care for all our patients, delivered by our team of four resident dentists. All our dentists offer a patient-centred approach to dentistry and are committed to ensuring you receive a high standard of care. 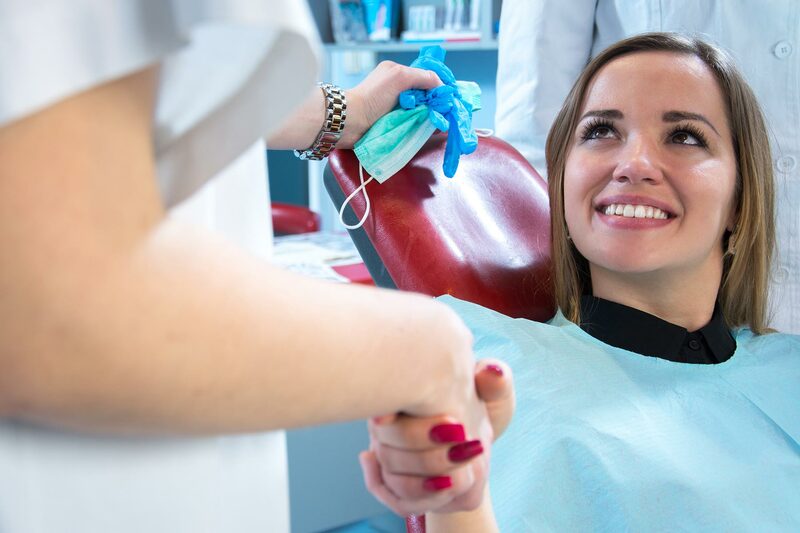 We offer a wide variety of dental treatments from general check-ups and hygiene appointments to other treatments such as tooth whitening and facial aesthetics. We also have a specialist orthodontic clinic, so there is no need to be referred out from the practice. We are proud to provide Denplan at our practice, the UK’s leading dental payment plan specialist. E Dental Clinic has now moved to 42 Earl Grey Street following a merge with Earl Grey Dental Practice. All E Dental Clinic patients will now be seen by the team at Earl Grey. Dentist Katie Rodgers from E Dental Clinic has also relocated to the practice. For appointments with Katie, please contact Earl Grey Dental Practice directly on 0131 221 9535. Gagandeep enjoys all aspects of dentistry and has been working in cosmetic dentistry. She is a confident and hardworking individual who enjoys all aspects of dentistry but has a preference for cosmetic work and giving patients the smiles they desire. Gagandeep has been working as a dentist in the UK for eight years. She has attended courses in orthodontics and would like to do more cosmetic dentistry and teeth whitening in the future. Her interest outside of dentistry is salsa dancing. Stylianos qualified in Greece 2014. He worked for major medical departments for the national health organisation of Greece and has had a great deal of experience in Greece and the UK since 2014. Stylianos had two years of work experience at hospitals in Greece and in private dental practices and two years of dental experience as a full-time dental associate in UK. He attends many courses and at the moment working on project of research in oral surgery. He enjoys all the fields of general dentistry but prefers the aesthetic restorative cases, oral surgery and would like to qualify in implantology in future. Stylianos’ interests include photography, music (playing guitar and percussion), swimming and travelling around the world. Dr Gamal has taken many advanced courses; Msc. Orthodontics from Austria, Cosmetic Orthodontics and Endodontics in the UK, and a Diploma in Implant Dentistry from Spain, as well as gaining a Restorative Postgraduate Diploma and Prosthodontics Postgraduate Degree. Dr Gamal has vast experience and knowledge of All-on-4 implant retained dentures, benefiting from being trained by the inventor, Dr Malo, in Lisbon, Portugal. He has also placed more than 6,000 implants in the last six years across the UK, Spain and Belgium. Dr Gamal believes in excellent patient care and is committed to ensuring they receive the highest quality of dental care. He considers himself a “Smile Designer”, through using the most up-to-date cosmetic dental techniques and procedures. Dr Gamal holds a Saturday implant clinic at the practice. BDS Glasgow (2012), BSc Hons, PgCert Rest Dent. Katie qualified with BDS in 2012 and also holds a BSC (Hons) in Biomedical Science and a PG Cert in Restorative Dentistry. Katie has experience in facial aesthetics, Invisalign and the Inman Aligner. Katie enjoys all aspects of dentistry and loves working in general practice. She enjoys dealing with nervous and anxious patients and has a passion to try and help them overcome their fears. Katie’s clinical passions are endodontics, facial aesthetics, cosmetic dentistry, orthodontics and oral surgery. In her spare time, Katie enjoys going to the gym, practicing yoga and pilates and socialising with friends and family. Denise has over 19 years experience working as a Hygienist within various dental practices, having graduated in 1999 from Glasgow Dental Hospital. Denise has extensive experience covering all asprects of Hygiene treatment, including scaling, polishing, fissure sealants an dthe latest technology, Air Flow. What Denise likes most about her job is supporting and encouraging patients to achieve a perfect smile. Denise enjoys helping to create a tailored home care regime to achieve a good level of Oral Hygiene. In her spare time, Denise enjoys going to various fitness classes and the gym. She also enjoys walking her dog and reading. Selina became practice manager of Earl Grey in 2019. She has nearly 25 years of experience working in the dental industry, starting her career as a trainee dental nurse at the age of 16 and working her way up to the position she now holds. Day to day she enjoys the overall variety of her job and working as part of a team to provide every patient with the highest level of care possible. In her spare time, she enjoys not only spending time with her friends and family but also travelling. She has visited several countries including America, Australia, Egypt and many more! She is also a keen rugby fan and can be regularly seen at Murrayfield supporting the boys in blue. Angelika originally qualified in International Relations and European Studies after which she led the reception team at a spa. Two years ago she decided to fulfil her dream to work in dentistry. Angela relishes the challenge of every working day being different and her continued self-development. She is very proud of the fact that she chose Earl Grey Dental Practice for her work placement and credits them with supporting her to successfully pass all her exams. In her spare time, she enjoys playing with her four-year-old son, travelling, going to the gym, dancing and meeting new people. Leighann has been a dental nurse for over 15 years, joining Clyde Munro in 2017. Leighann has assistanted in implants which she really enjoys and hopes to continue this in the future as well as gain more qualifications. In her spare time, Leighann enjoys spending time with friends and family, holidaying in Ireland and watching Scottish rugby. Enja is a confident and caring individual who likes to be organised and prepared. She recently moved to Scotland and believes that it is one of the best decisions of her life. She enjoys learning something new every day, helping people and also the scientific aspects of the dental profession. Enja feels lucky that she has such great colleagues who are all very supportive. She achieved four years of customer service experience through working in different retail outlets both in Italy and here in Scotland. She helped in her family business in Italy and in a very busy souvenir shop on the Royal Mile in Edinburgh. Enja is passionate about pets, reading fantasy and thriller books, listening to different types of music, cooking and all things creative (painting, sculpture, etc). Chloe left school with a higher in English and Personal Development. She enrolled onto a dental nursing course and looks forward to becoming qualified. She is a bubbly, outgoing confident individual born and bred in Scotland and proud to belong to the Earl Grey Dental Practice. Chloe enjoys the diversity of no two days being the same, the interaction with patients and getting to know them better. This is Chloe’s first experience in dentistry and she enjoys treatments such as root canal and crowns. Her interests include her friends, visiting the cinema, reading and keeping fit. Alana left college with a three distinctions in Media Studies. She then joined our team in late 2018 after finally making the career move she wanted, and enrolling onto a dental nursing program. Before working with us, she previously worked as a tailoring specialist, cake decorator, sales assistant and was an intern at a financial market company. She enjoys all aspects of dentistry – and appreciates the fact that no two days on the job are the same! She particularly likes helping children and nervous patients. In her spare time, Alana enjoys going to music festivals, writing poetry and running her blog. ”"Whilst I have not had any work done on my teeth here other than a standard check-up, I would have no hesitation in using them for more major dental procedures. I would strongly recommend this as a great city centre dental surgery. I feel odd saying that I am a fan of a dentist, but good places like this need to be pointed out." We are just a 15-minute walk from Haymarket Station and a short 10-minute walk from Princes Street. By Bus: 34, 11, 10, 15, 47, 24. We also have street parking available outside the practice.